Kenya’s national carrier, Kenya Airways has recently opened its new Cargo Express Centre at Nairobi’s Jomo Kenyatta International Airport (NBO). 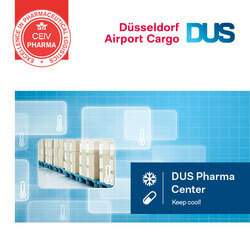 The express facility which was designed to meet future e-commerce and higher paid premium cargo shipments such as pharmaceuticals, gives clients a much faster customs clearance and specialised cool chain facilities. Kenya Airways is in need of more revenue as their own uplift has been reduced during the past two years and the airlines has been forced to sign a new interline agreement with Air France-KLM Cargo in order to try and boost cargo revenues. 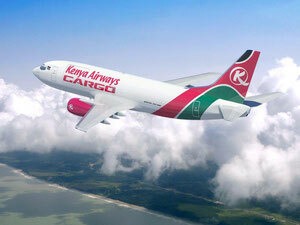 This itself has been hampered by AF-KL Cargo also reducing capacity through NBO during the past months. 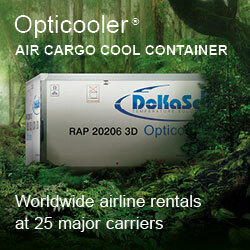 A remarkable 15% increase in cargo volumes flown was shown in the WorldACD figures which were published in early May. This double-digit increase is surpassed by an almost 17% increase in so-called direct flown tonne kilometers. Carriers have not seen figures for a single month like this since before the cargo turndown way back in 2008. The worldwide demand for air cargo capacity continues it seems unabated and the March figures can be taken at face value. The recently much published information that Amazon would open a new hub at Cincinnati International Airport has become reality. May 1st was the opening day of Amazon’s new hub when the company moved over into the Cincinnati DHL Express facility there whilst waiting for their own US$1.4 billion hub to be completed. They will gradually phase out operations at their Wilmington, Ohio hub by transferring the fleet of Boeing 767-300F aircraft operated by ABX Air over to Cincinnati as well. During the first three months of this year IAG Cargo reported revenues of €256 million, which were just over 2% lower than those of 2016. Yields dropped by 5.5% while volumes carried went up by 3.6%. The capacity on offer by IAG Cargo grew, however, during the published period by 12%. A new four-day Professional Development Workshop aimed at enhancing present and future air cargo management skills which has been put together by Strategic Aviation Solutions (SASI), will be held by TIACA from August 29th to September 1st 2017 in Anchorage, Alaska. The workshops, of which quite a few have already been held in other cities in the USA and Europe, are aimed at providing those attending with the right tools and a more thorough understanding of the present and future needs of the air cargo industry. Topics on the Anchorage agenda include market and competitive analysis, brand management, revenue management understanding, business ethics, team leadership and analyzing financial statements. U.S.-based Kalitta Air has taken over a former Korean Air B747-400BCF. The aircraft was acquired by Boeing from KE and was until recently parked in Marana, before being delivered to Kalitta. Hong Kong-based Cathay Pacific Airways has leased two B747-8 freighters from Atlas Worldwide Holdings. Although they will fly in CX colours, both aircraft will be operated by AAWW which is an Atlas Air subsidiary company. Jordan’s ACMI and charter carrier, Fly Jordan, says it is planning to add B737 freighters into its fleet. The carrier already operates with two B737 passenger versions. Aerotrans, the Moldovian-headquartered carrier gets a B747-400F which is being leased from Avolon. The freighter was originally flown by Singapore Airlines until late last year. Aerotrans already has two B747-400BDSF aircraft in operation. Asiana Airlines of Korea also took delivery of a B747-400BDSF from aircraft conversion company, Bedek Aviation Group. The aircraft comes from Asiana’s own fleet and was previously a B747-400 Combi before being converted to a pure freighter.